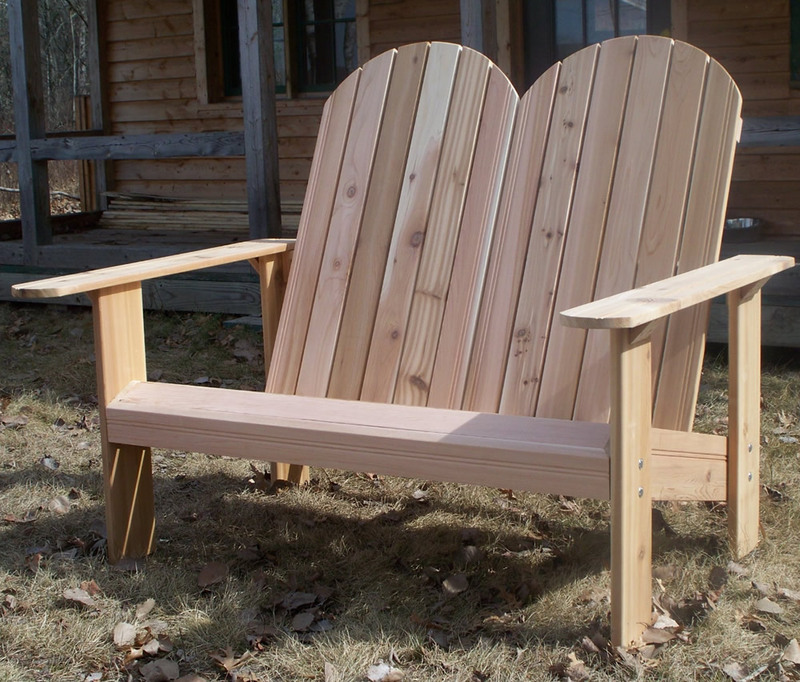 A complimentary love seat for the Cedar Adirondack Round Top chair, this chair will make you the envy of your neighbors. Can be purchased in a set with single chairs or purchase two for a couples seating arrangement. Large enough to seat your biggest (or best) friends or relatives. Wide long arms for your favorite beverages, dinner plate, and maybe a kid or two. Accent moldings and heavy construction set this chair apart from the rest. All hardware used in the chair is stainless steel for long life and to avoid any rust stains. Quick and easy final assembly. Whether this is for your lake home, cabin deck, or to bring the up north feel home to your backyard. The Cedar Round Top Double will keep providing season after season of service. Available in Round or Square Back. Optional matching cedar Ottoman available. Natural Western Red Cedar stays cool to the touch even in direct sunlight. No preservatives or chemicals. Pre-sanded, natural unstained. Quality workmanship guaranteed! Stainless Steel hardware, hidden screw assembly. Only 12 carriage bolts to complete full assembly, included with illustrated assembly instructions. Arms: 36" Long by 5 1/4" Wide. NW 43 pounds. GW 60 pounds. Usually Ships within 2 days, average delivery time 3-5 days. Shipping to the lower 48 included in price. Made in the USA! Order 2 or more for discounts or see our sets section for package prices.